Thirty years after the headlines, Love Canal remains synonymous with toxic waste. When this neighborhood of Niagara Falls, New York, burst upon the nation's consciousness, the media focused on a working-class white woman named Lois Gibbs, who gained prominence as an activist fighting to save families from the poison buried beneath their homes. Her organization, the Love Canal Homeowners Association, challenged big government and big business—and ultimately won relocation. But as Elizabeth Blum now shows, the activists at Love Canal were a very diverse lot. Blum reveals that more lurks beneath the surface of this story than most people realize—and more than mere toxins. She takes readers behind the headlines to show that others besides Gibbs played important roles and to examine how race, class, and gender influenced the way people—from African American women to middle class white Christian groups—experienced the crisis and became active at Love Canal. 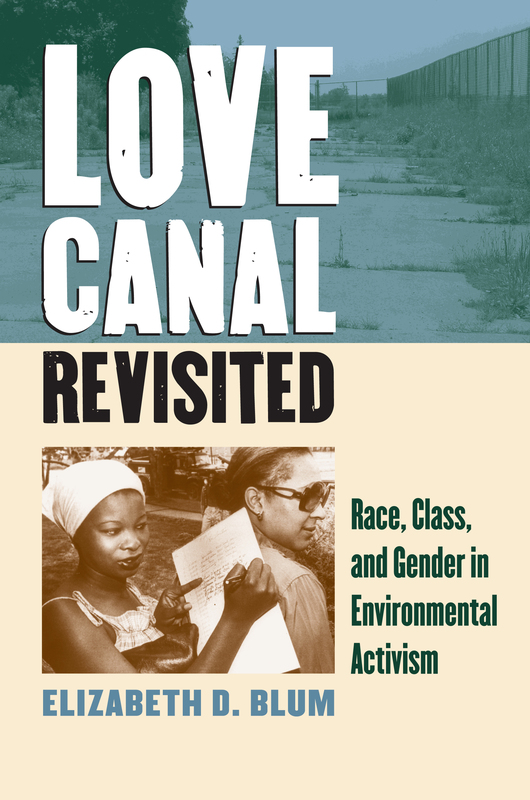 Blum explores the often-rocky interracial relationships of the community, revealing how marginalized black women fought to be heard as they defined their environmental activism as an ongoing part of the civil rights struggle. And she examines how the middle-class Ecumenical Task Force—consisting of progressive, educated whites—helped to negotiate legal obstacles and to secure the means to relocate and compensate black residents. Blum also demonstrates how the crisis challenged gender lines far beyond casting mothers in activist roles. Women of the LCHA may have rejected feminism because of its anti-family stance, but they staunchly believed in their rights. And the incident changed the lives of working-class men, who found their wives in the front lines rather than in the kitchen. In addition, male bureaucrats and politicians ran into significant opposition from groups of both men and women who pressed for greater emphasis on health rather than economics for solutions to the crisis. No previous account of Love Canal has considered the plight of these other segments of the population. By doing so, Blum shows that environmental activism opens a window on broader social movements and ideas, such as civil rights and feminism. Her book moves the story of Love Canal well beyond its iconic legacy—the Superfund Act that makes polluters accountable—to highlight another vital legacy, one firmly rooted in race, class, and gender. Elizabeth D. Blum is an associate professor of history at Troy University.